Round 2 Crafty Item - Fabric Flowers - Let's see something new and fun that includes fabric flowers. How do you use your fabric flowers? And if you have a unique way of making these flowers, please share that too, but don't just enter fabric flowers. We want to see them used with another project. 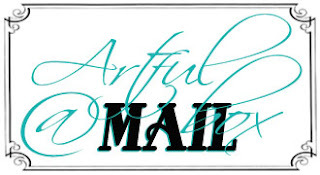 To enter... Just post your idea on your blog and then email me the link so I can share it. We will post the top 10 projects and have another voting round. TOP 5 in this round will go on to the next round. Round 4 Crafty Item - Denim - I know there are many fun projects that can be made out of old denim jeans. Whether it be decor, clothing or an accessory. Have fun with it! Winner will be chosen from the Top 3 Trendy Crafters. We will post when all the projects are emailed in and you will be notified, so you can share and get votes too! Don't forget to share so you get your VOTES! Thanks. 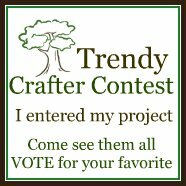 Hope to see your projects for the Trendy Crafter Contest!